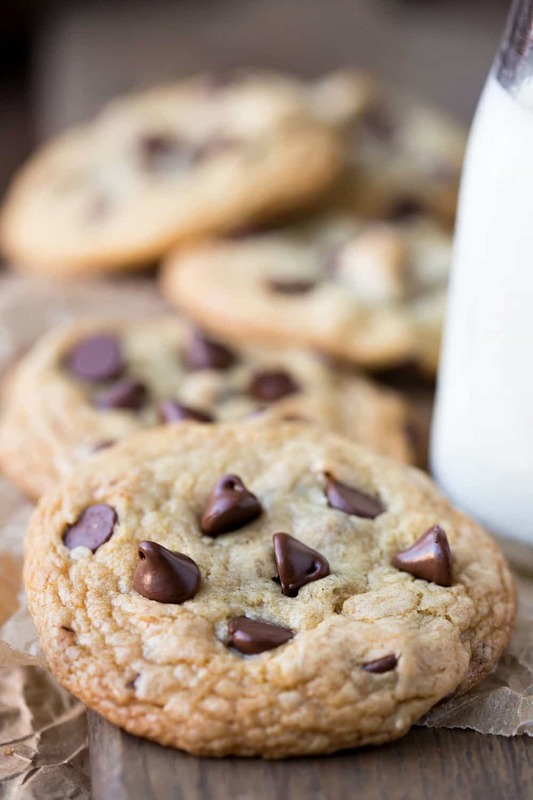 Chewy Brown Sugar Chocolate Chip Cookie recipe makes cookies that are the perfect blend of soft and chewy! When it comes to easy desserts, it’s hard to beat a chocolate chip cookie. 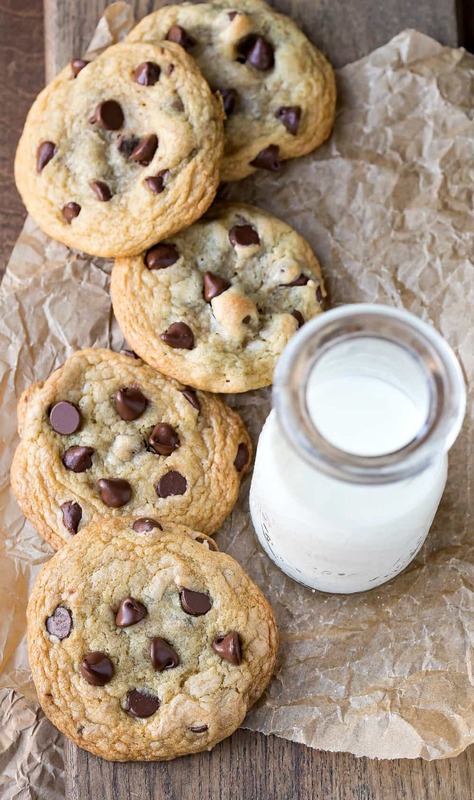 They’re easy to make, and a warm chocolate chip cookie is one of life’s simple pleasures. 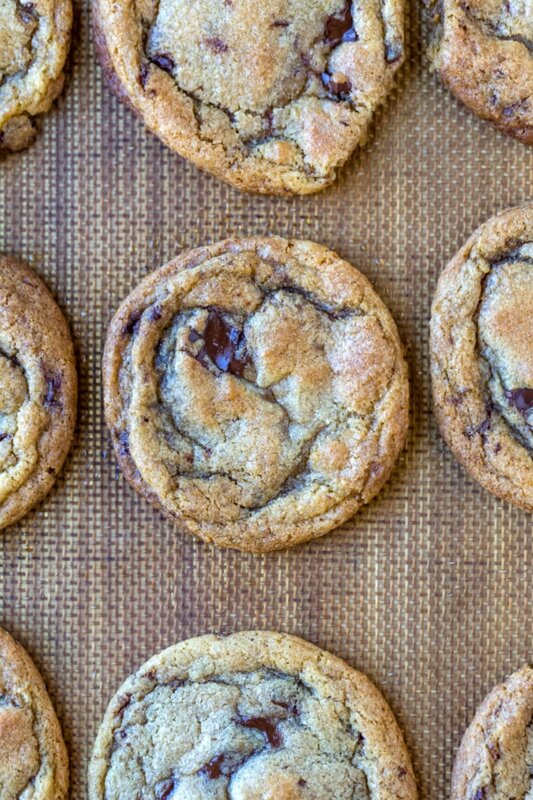 These Chewy Brown Sugar Chocolate Chip Cookies are certainly simple to make. They’re great spur-of-the-moment cookies because there is no need to soften the butter ahead of time. The dough comes together in a matter of minutes, and no chilling is required. If you like a thicker cookie, you can refrigerate it for 30 minutes or so before baking, but no need to chill it if you don’t want to. And the use of all brown sugar gives these cookies a deeper, richer flavor. So, the next time a cookie craving strikes, bake up a batch of these cookies! See just how simple it is to make these cookies! 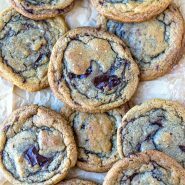 If you’ve tried this chewy brown sugar chocolate chip cookie recipe, don’t forget to rate the recipe and leave me a comment below. I love to hear from people who’ve made my recipes! You can SUBSCRIBE to receive my latest recipe newsletters or FOLLOW ME on FACEBOOK, INSTAGRAM and PINTEREST for even more delicious food. Add flour, baking soda, and salt. Stir until just combined. Please see the comments about flour in the recipe notes. Correctly measuring the ingredients is key. I suggest either weighing the ingredients or aerating the flour (sifting or fluffing) and then scooping and leveling. Packing in too much flour will cause the cookies not to spread. Can substitute 4 ounces finely chopped semisweet baking chocolate for chocolate chips. Love chocolate? 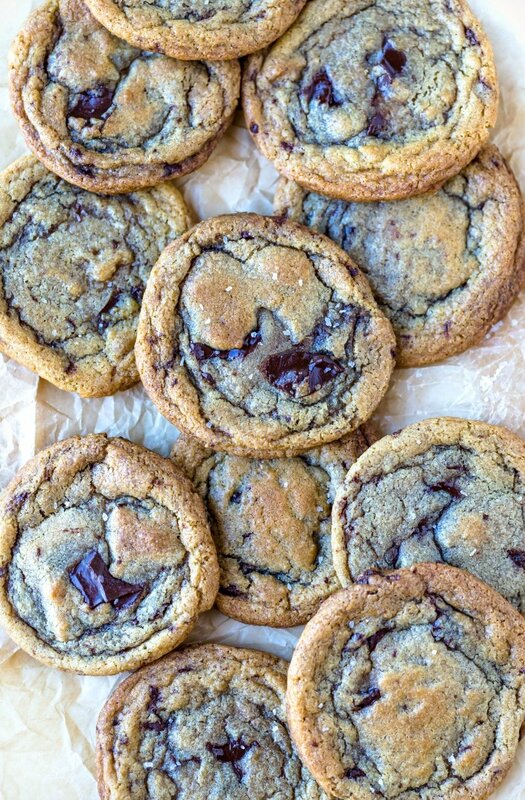 Try the chocolate chocolate chip version of this cookie! Hoping cookies will turn out, followed the recipe but realized my eggs were still sitting there. It never said she. To add them so I added them probably too late. Hi! That’s too bad! I hate when things like that happen. Just FYI – adding the egg and egg yolk comes in step 6. I hope that helps for next time! Hello, I tried this recipe last night. The cookies tasted great but they didn’t spread. I weighed everything and even sifted the dry ingredients after weighing them. I can’t figure out what went wrong. Hi! I’m sorry to hear that! The 3 most common reasons that cookies don’t spread are 1) too much flour 2) oven temp is off and 3) old baking soda. It sounds like #1 isn’t the case. Does your oven bake hot? Cant wait to try this recipe… Can i ask what brand of chocolate did you used?